Linnet Taylor will summarise the most important findings of the conference in relation to the overall aim of creating usable, fair and just systems for a datafied society. 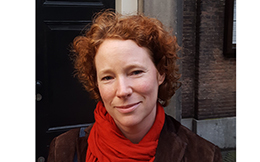 Linnet Taylor is Assistant Professor of Data Ethics, Law and Policy at the Tilburg Institute for Law, Technology, and Society (TILT), where she leads the ERC-funded DATAJUSTICE project which aims to understand the differerent perspectives worldwide on what constitutes just treatment through data technologies. Her research focuses on the use of new sources of digital data in governance and research around issues of human and economic development. She was previously a Marie Curie research fellow in the University of Amsterdam’s International Development faculty a postdoctoral researcher at the Oxford Internet Institute, and studied a DPhil in International Development at the Institute of Development Studies, University of Sussex.